A lemon is the yellow oval fruit from a lemon tree. The lemon is a citrus fruit with a thick, yellow skin. The skin can be used as zest in a drink and has the same sour taste as the juice. 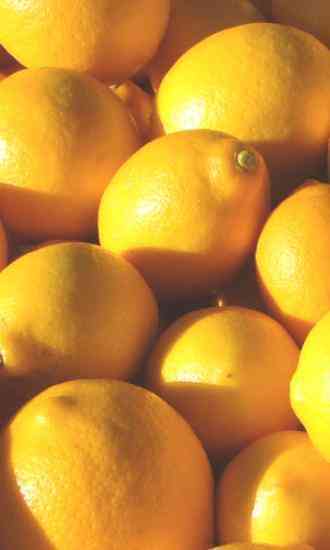 The lemon produces a white, slightly yellow, translucent juice.